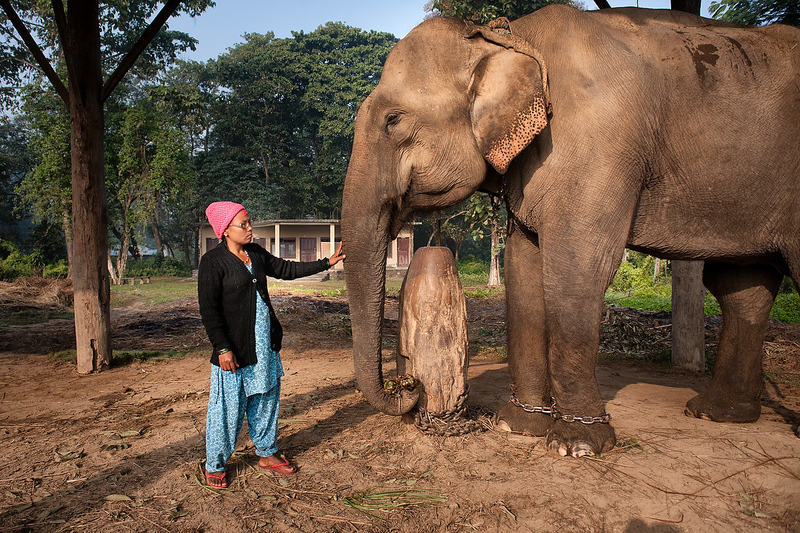 Mahout Meena Mahato with her elephant Pangoo at Hattisar Soura elephant stable. Meena Mahato (35) is the first female mahout in Nepal. She joined the stable few year ago.